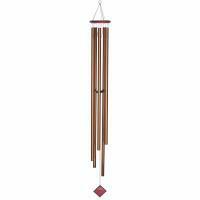 I think the Music of the Spheres wind chimes are the best made available! I own four of them and love them all. And your website had the lowest price I could find on the internet, including free shipping! Thanks. This product exceeds my expectations; the tones it creates are so mellow and they linger. It is very relaxing and soothing. It is quality construction too. I was concerned when I installed it in my small backyard that it might be overwhelming (it is big) but that has not been a problem. One feature that I enjoy is the fact that the wind scoop can be removed very easily and this essentially silences the chimes no matter how much wind there is. This might not be a feature used by many but for me it has been handy because my chime is near the property line and near my next door neighbor's bedroom window. 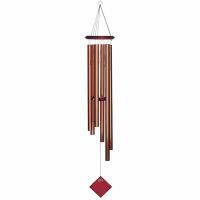 I just silence the chime when I am not around. 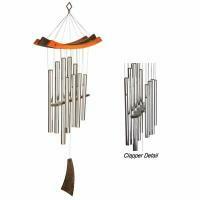 We wanted one of these top of the line chimes for years and finally made the investment to celebrate our anniversary. What a delight! 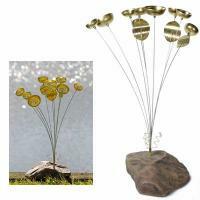 They will last forever and we have rave reviews from the neighbors who get to enjoy them also. So glad we purchased.